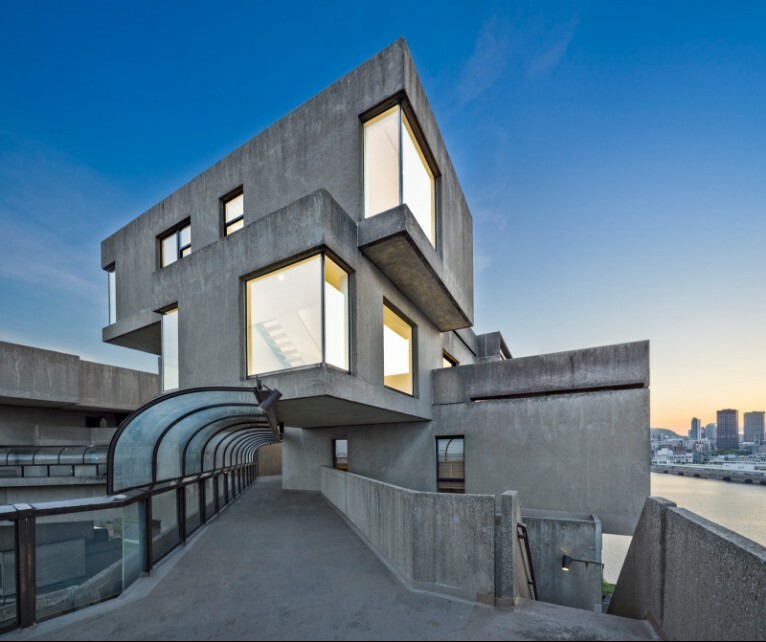 Safdie Architects has completed a comprehensive Renovation of Moshe Safdie’s unit at Habitat 67, icon of modern architecture and historic monument designated by the Quebec Ministry of Culture. The 10th floor duplex unit, which originally belonged to the Commissioner of Expo 67, is perched atop the residential complex, looking across the Saint Lawrence River towards downtown Montréal. 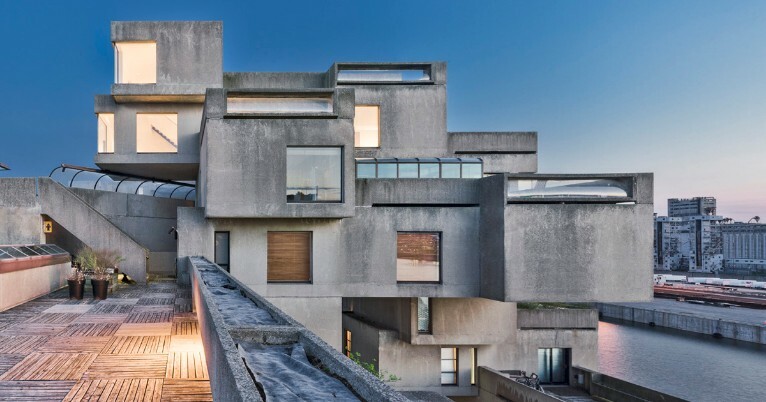 The landmark interior was restored to celebrate the 50th Anniversary of Habitat 67, in conjunction with a major 2017 exhibition of Safdie Architects’ work at UQAM, entitled Habitat ‘67 vers l’avenir : The Shape of Things to Come. The project involved repair of decades of water damage, restoration of the interior to its original condition, and technical upgrades of all building systems to 21st century standards of sustainability and energy conservation. The two-year effort started with a careful research and inventory of the original 1967 conditions. To address water damage, the exterior concrete walls were stripped to allow proper repair, insulation, and waterproofing of the envelope to withstand Canadian winters. The unit will be donated to the public realm, to be a resource for scholarly research, open for public visits, by tour. Safdie Architects is also involved with an ongoing comprehensive restoration of the exterior building envelope for the Habitat 67 complex.